Just before The Car Wash Show 2017, copies of this Spring's CAR WASH Magazine mailed out to some 15,000 people. 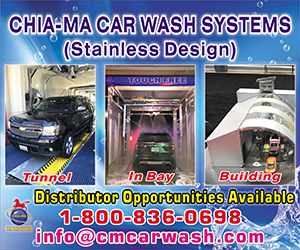 This issue is full of great profiles of people in the car wash industry, along with our standard lineup of outstanding articles to help you in your business. Didn't get a copy? Check out the digital edition by clicking the link below. Visit http://www.nxtbook.com/naylor/ICWQ/ICWQ0117/index.php to view the full article online. Kevin L. Faulconer, mayor of San Diego, proclaimed April 20, 2017 "Soapy Joe’s Car Wash Day" in honor of the company’s commitment to environmental sustainability in the San Diego community. In celebration of this honor, Soapy Joe’s will be offering free car washes to the public all day on April 20, and will give away free annual memberships to three winners of the company’s "Stay Clean, Go Green" social media contest. Visit http://www.carwash.org/news-landing/2017/04/19/san-diego-proclaims-april-20th-soapy-joe-s-day-for-green-efforts to view the full article online. They say everything is bigger in Texas. That includes a new Buc-ee's car wash in Katy. It's aiming to actually become the "longest in the world." Visit http://www.wfaa.com/news/local/katy-buc-ees-building-longest-carwash-in-the-world/431310720 to view the full article online. As Tax Day was upon us, and thousands of Arizonans ruched to get their returns to the Internal Revenue Service by the federal deadline of Tuesday, April 18. Jacksons Car Wash in Scottsdale gave out free car washes that day, from 10 a.m. to 2 p.m. In addition, a truck from Cutters Document Destruction was on site offering free paperwork shredding. 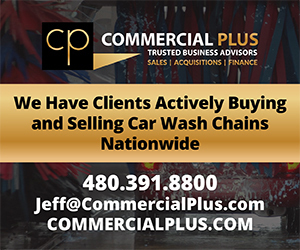 Visit http://www.scottsdaleindependent.com/business/jacksons-car-wash/ to view the full article online. 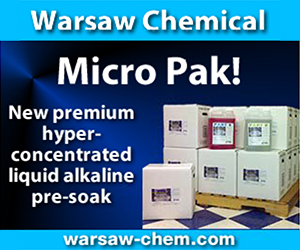 Mister Car Wash announced the acquisition of Waterworks Car Wash, a single full serve location in Grand Rapids, Michigan. 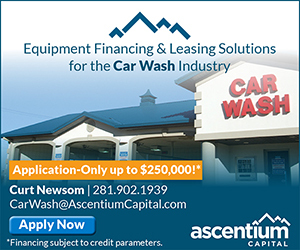 Visit http://www.carwash.org/news-landing/2017/04/19/mister-car-wash-acquires-waterworks-car-wash-in-grand-rapids to view the full article online. A husband-and-wife team wants to bring some extra shine to a Henrico plot once slated for a Hummer test-driving track. Max and Helene Koehler have purchased a 1.2-acre site at 4040 Sadler Road in Innsbrook, where they’ll open Wash Your Way RVA, a car wash and auto detail operation. Through a Small Business Administration loan, the Koehlers plan to invest about $2.5 million in the business. Visit http://richmondbizsense.com/2017/04/14/carwash-veteran-wants-to-clean-up-in-innsbrook/ to view the full article online. 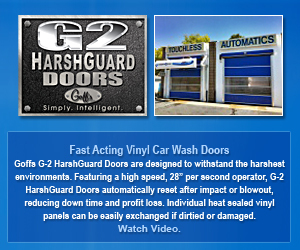 Founded in 1989 by the late Randy Bluestone, Country Club Car Wash is a six-site car-wash chain that keeps the vehicles of the St. Louis area squeaky-clean. The current owners — Randy’s widow, Barb Bluestone, and Mark Kummer — recently opened a new location with a flex-service car wash, On the Run Convenience Store and Mobil station that builds upon their car-wash legacy with a modernized in-store experience. 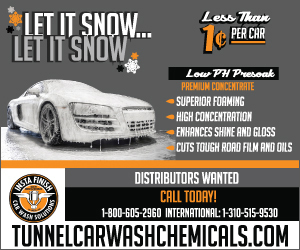 Visit http://www.cspdailynews.com/print/csp-magazine/article/5-questions-about-new-country-club-car-wash to view the full article online. The internet is on fire with the recent United Airlines scandal in which a passenger was forcibly pulled off a plane after the airline had overbooked or oversold the flight. Following the event, United Airlines CEO Oscar Munoz issued a statement to his employees, which was met with harsh criticism from the public. Visit https://www.entrepreneur.com/article/292820 to view the full article online. For managers and marketers alike, the power to calculate what customers might be worth is alluring. That’s what makes customer lifetime value (CLV) so popular in so many industries. CLV brings both quantitative rigor and long-term perspective to customer acquisition and relationships. Visit https://hbr.org/2017/04/what-most-companies-miss-about-customer-lifetime-value to view the full article online. McDonald's is nowhere in its latest campaign, which banks on the social cred of Mindy Kaling, the power of Google, as well as its own reputation as the best place to consume something other than burgers and fries — Coca-Cola. A new effort out of We Are Unlimited stars the comedian and actress (wearing a yellow dress and standing in front of a red backdrop) talking about the "place where Coke tastes soooo good," and then urging viewers to go ahead, Google it. Visit http://adage.com/article/cmo-strategy/mcdonald-s-latest-campaign/308721/ to view the full article online. Consumer surveys have repeatedly shown the public’s ambivalence about digital privacy. When there’s a clear value exchange or concrete reason for information sharing, consumers will do it — but typically not without some hesitation. A new survey by YouGov, conducted for 7 in March, asked more than 1,000 U.S. adults about their feelings on a range of customer-experience issues tied to personalization and privacy. The survey data can be spun either as a win for personalization or as a partial repudiation of it. Visit http://marketingland.com/survey-consumers-willing-share-personal-data-deals-better-customer-service-212232 to view the full article online.